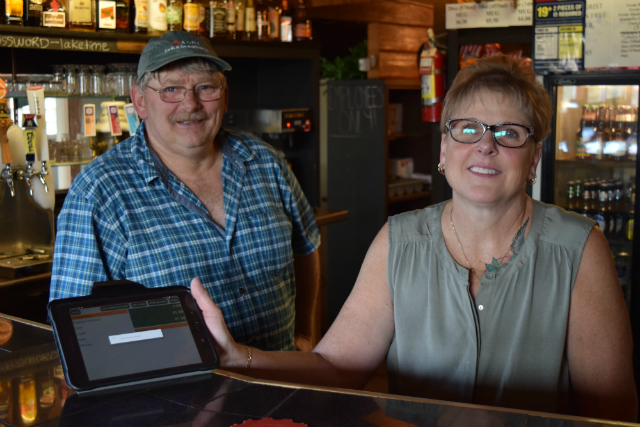 Jim and Melinda Howard at the Wasa Country Pub and Grill use POS-n-go to track inventory and easily calculate taxes. "POS-n-go has been a life saver for our Bar & Grill business. We started off with a very old till system that was an accounting nightmare. After switching over life is so much simpler and the accounting end is a breeze," said Melinda. The other things she likes about POS-n-go are "PST/GST done at the end of each month, knowing the sales at the end of the day and inventory is so easy to track." Tracking inventory helps Jim to know when and how much beer he'll need to bring in, and what beer is the biggest seller. The grill is open every day until 10pm. Stop by for a delicious burger or a full meal. Wasa Country Pub and Grill located at the corner of Highway 93/95 and Wasa Lake Park Drive. Check out the Halloween Party Oct 28th, music with East/West connection starts at 8pm. Be sure to dress in your best costume. It's worth the drive for great food, cold beer and free WIFI.